When it comes to installing wood floors in your home, you will find there are a lot of choices and material types to choose from. There are solid hardwood floors, laminates, engineered, and engineered hardwood floors that often referred to as solid hybrid flooring. Most people get engineered and engineered hardwood floors confused. Mike’s Custom Flooring would like to share the basics about engineered and engineered hardwood floors and the differences between the two so you can properly decide which one is right for your home. Wood floors are constantly in demand for both homes and commercial buildings. Due to the demand and desire for wood floors, there are a number of types of wood flooring that help fit an individual’s living environment. Along with environmental exposure there are installation varieties that help get wood floors in different areas of a home or commercial building. This is why there are so many installation methods and material types of wood flooring. The two types of wood floors that often get confused as the same is engineered wood floors and engineered hardwood floors. There is a major difference between the two types of flooring on how they are made and installed. Starting with engineered wood floors, just like solid wood floors, a single cut of wood is used for each plank. However engineered wood floor still use a layered method like laminate floors. Engineered wood floors are made of several layers with the upper layer being a single, thin cut of real wood. The wood is coated and protected with additional layers. The bottom layer of engineered wood helps to protect the wood from moisture and humidity which is why engineered wood is better suited for climates with high levels of humidity and moisture. Engineered wood floors are made by using multiple layers that use sheets of plywood that crosses over each other alternating the direction of the grain. They have a top and bottom layer that helps protect the wood. Engineered Wood floors can be used in more places in a home or building. Additionally engineered wood floors have multiple installation methods which allow Engineered Wood floors to be installed anywhere. Solid wood floors can be difficult to install on concrete and most home and business building foundations is concrete. However, since there was a desire for wood floors in homes and buildings with concrete sub flooring, installing natural solid hardwood needed to be glued down. However, concrete can hold in moisture, heat or cold which wood will react to. Since installing solid hardwood on concrete was so problematic, engineered hardwood floors were born. 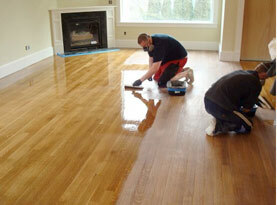 Solid hardwood lasts for a very long time since solid hardwood floors can be refinished 3 to 4 times. 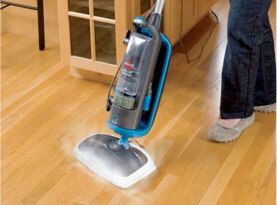 Essentially, this provides the homeowner with brand new wood floors. 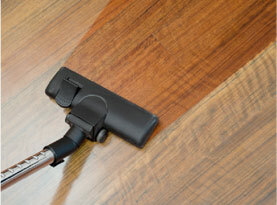 Not all wood floors can be sanded down and refinished 3 to 4 times. However engineered hardwoods can be sanded which extends the life of the floor. 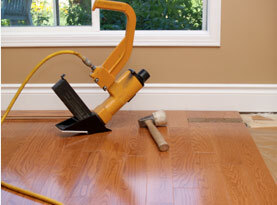 Additionally, engineered hardwood floors can be nailed down, or can float on concrete floors. Nonetheless, engineered hardwood floors are less tolerable to humidity and moisture which is why you must be careful where engineered hardwood is installed. If you want to have wood floors installed in your home, contact Mike’s Custom Flooring. We provide quality installation and design services. To schedule our services, contact Mike’s Custom Flooring today.